After exiting Flipkart with Rs. 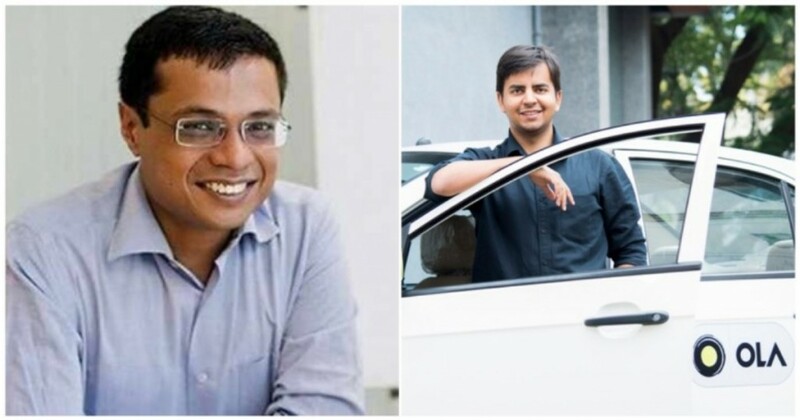 7,000 crore in the bank, Sachin Bansal has already taken his next ride. Sachin Bansal has invested Rs. 150 crore ($21 million) in Ola as a part of its latest funding round. Bansal has purchased 70,588 ‘Series J’ preference shares at a value of Rs 21,250 per share, as per documents filed by Ola with the Registrar of Companies. The investment values Ola at $5.7 billion and makes it India’s second most valuable startup, taking its valuation slightly higher than that of Oyo, which was valued at $5 billion late last year. A $21 million personal investment is large, but is not as large as reports had initially suggested. As early as October last year, it had been rumoured that Bansal was going to invest as much as $100 million into Ola. It is possible that the currently reported investment is the first in a series of investments that Bansal could make into the ride hailing company. It’s not surprising that Bansal has decided to invest a substantial portion of his Walmart windfall into Ola — he and Ola CEO Bhavish Aggarwal have appeared to share a warm personal equation over the years. When Aggarwal had been named among Time’s 100 people of the year, his snippet had been written by Bansal for the magazine. “For those who meet Bhavish Aggarwal for the first time, his polite, soft-spoken demeanor is impossible to forget. Get to know him a little more and you will soon notice his vision, passion and determination to stand against all odds,” Bansal had said. “The wishes of a billion Indians, mine included, are riding in his cab,” he had added. The duo have worked together professionally as well — both Flikpart and Ola were a part of the IndiaTech initiative, which had lobbied against foreign firms which it claimed were dumping capital in India. The investment also marks the first major investment that Sachin Bansal has made since exiting Flipkart. Bansal has already put in place a company which will help him channelize his wealth into Indian startups — late last year, he’d founded BAC Acquisitions which would act as an investment vehicle for his investments. But while BAC Acquisitions hasn’t made any announcements around its investments yet, but with the Ola investment, Bansal seems to have already gone ahead and booked his first ride on his new investing journey.